The PCS-4260 is Superior Cleaning Equipment’s top of the line front load aqueous parts washer. This system not only provides precision cleaning, but reliability that will make it a keystone in your shop or factory. The PCS-4255 is Superior Cleaning Equipment’s top of the line front load aqueous parts washer. 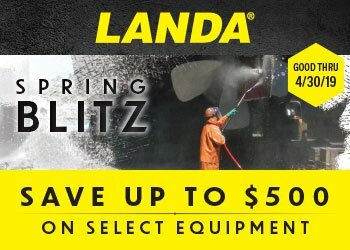 This system not only provides precision cleaning, but reliability that will make it a keystone in your shop or factory. 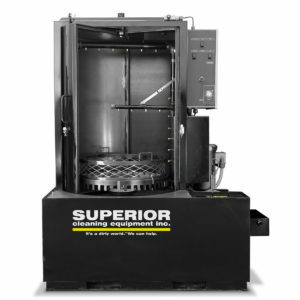 The PCS-3660 is Superior Cleaning Equipment’s top of the line front load aqueous parts washer. This system not only provides precision cleaning, but reliability that will make it a keystone in your shop or factory. The PCS-3648 is Superior Cleaning Equipment’s top of the line front load aqueous parts washer. This system not only provides precision cleaning, but reliability that will make it a keystone in your shop or factory. The PCS-3642 is Superior Cleaning Equipment’s top of the line front load aqueous parts washer. This system not only provides precision cleaning, but reliability that will make it a keystone in your shop or factory. The PCS-3148 is Superior Cleaning Equipment’s top of the line front load aqueous parts washer. This system not only provides precision cleaning, but reliability that will make it a keystone in your shop or factory. The PCS-3142 is Superior Cleaning Equipment’s top of the line front load aqueous parts washer. This system not only provides precision cleaning, but reliability that will make it a keystone in your shop or factory. 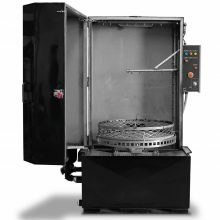 The PCS-3136 is Superior Cleaning Equipment’s top of the line front load parts washer. This system not only provides precision cleaning, but reliability that will make it a keystone in your shop or factory. 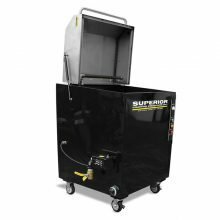 The PCS-2532 is Superior Cleaning Equipment’s top of the line front load parts washer. This system not only provides precision cleaning, but reliability that will make it a keystone in your shop or factory. The SCE F-3648 features a roll in cabinet door design, allowing the unit to sit flush against the wall saving valuable floor space. Made from a thicker steel (10 and 12 gauge) than competitive units and with more options available as well. The SCE F-4260 features a roll in cabinet door design, allowing the unit to sit flush against the wall saving valuable floor space. The SCE F-3142 features a roll in cabinet door design, allowing the unit to sit flush against the wall saving valuable floor space. Made from a thicker steel (10 and 12 gauge) than competitive units and with more options available as well. The SCE F-2532 features a roll in cabinet door design, allowing the unit to sit flush against the wall saving valuable floor space. Made from a thicker steel (10 and 12 gauge) than competitive units and with more options available as well.